Columbia-Barnard Jewish Voice for Peace and Students for Justice in Palestine urged Barnard’s Student Government Association to encourage the Barnard administration to divest from eight companies that profit from or contribute to the subjugation of Palestinian people at an SGA meeting on Monday night. Over 150 students attended, both in support and in contention of CUAD’s presentation. Marla Solow, BC ’19, Caroline Oliver, BC ’20 and Alla Issa, CC ’21, presented on the foundations of the ‘Boycott, Divest, Sanction’ movement, as well as the names of companies Barnard should divest from and why. 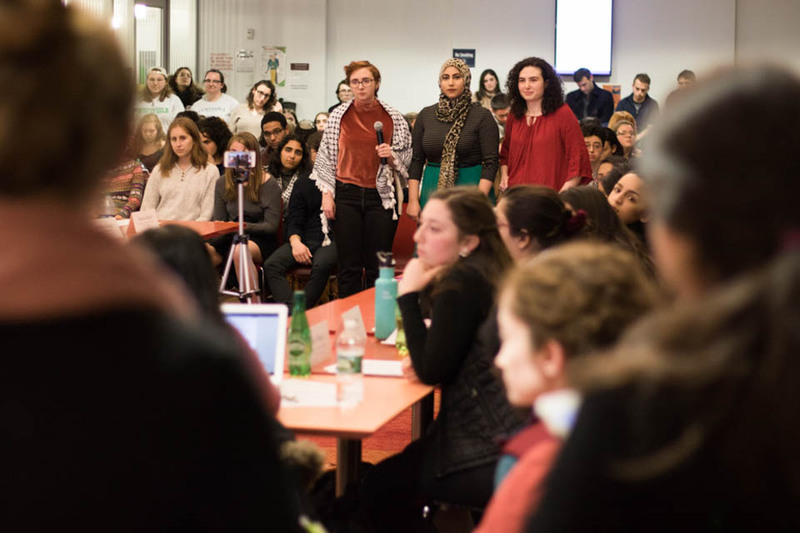 They also requested that SGA write a letter to Barnard’s administration in support of divesting from both Israeli and multinational companies that profit from human rights violations. 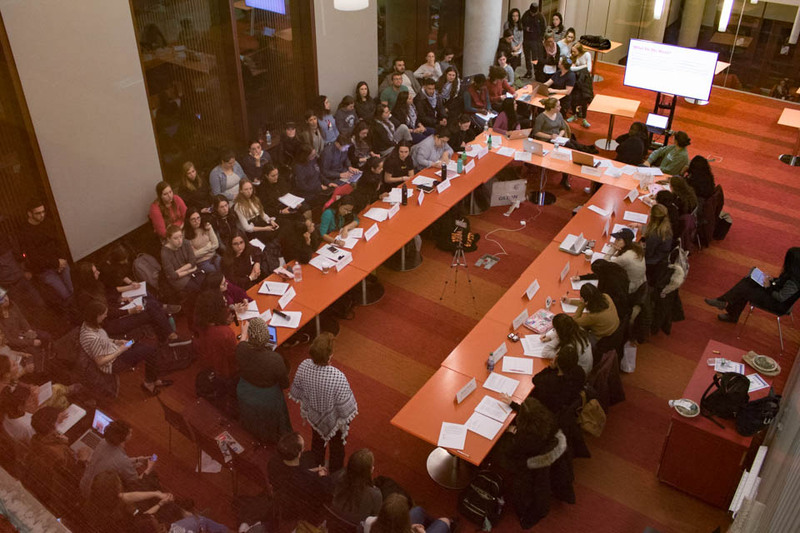 More than 150 people attended the SGA meeting Monday night to discuss Barnard's financial role in Israel-Palestine relations. According to its website, BDS is a Palestinian-led movement that works to end international support for Israel’s mistreatment of Palestinians and pressure Israel to comply with international laws regarding human rights. The eight companies that students asked Barnard to divest from include manufacturing and construction companies such as CAT and Hyundai; aerospace and weaponry companies Boeing, Elbit Systems, and Lockheed Martin; information technology company Hewlett-Packard; Bank Hapoalim; and the Mekorot water company, which has a monopoly over water sources in Israel, the West Bank, and Gaza that is used to discriminate against Palestinians. According to SJP and JVP, these companies were selected because they each contribute to the oppression of Palestinians by Israeli state power by destroying their homes, bombing their communities, categorizing and separating their people, and intentionally giving them less resources than Israelis. The presenters invoked Barnard and Columbia’s history of being the first colleges to divest from similar causes, including South African apartheid and their more recent moves to divest from private prison systems in the United States and climate change deniers. 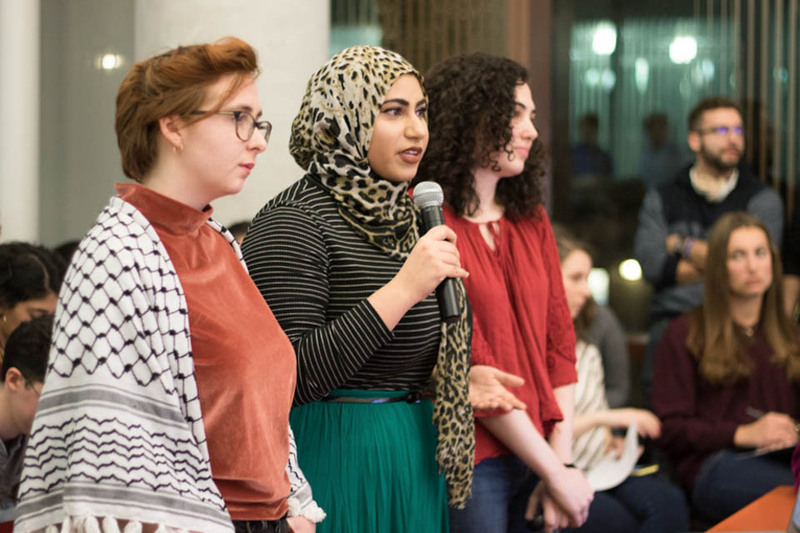 They also pointed to other schools whose BDS organizations have approached their student governments with similar requests to divest from Israel which were successful, including Tufts University and Hampshire College. 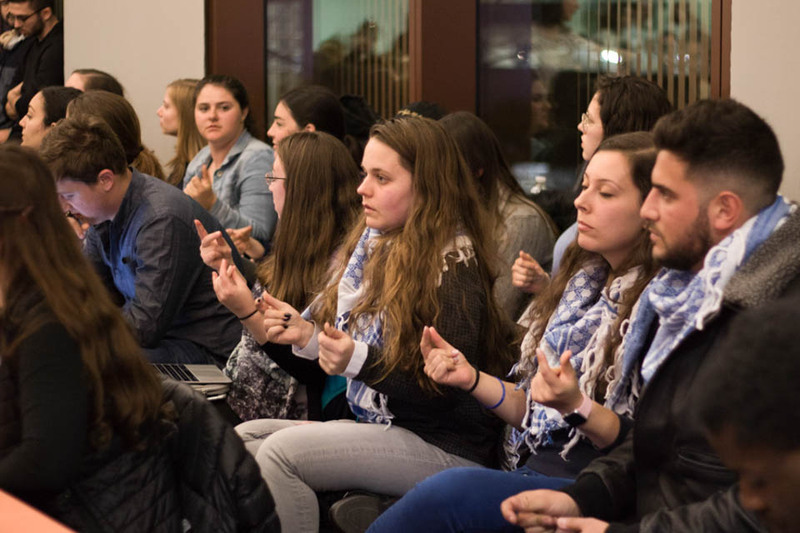 However, members of both SGA and the audience pushed back on these claims, arguing that the motion marginalized the voices of Jewish and Israeli students on campus. University Senator Kira Dennis, BC ’19, recalled CUAD’s request to Columbia College Student Council last year to co-sponsor Apartheid Week, which consists of events that seek to raise awareness of Israeli apartheid. As CCSC denied this request, citing that it made some students feel unsafe or marginalized, Dennis similarly questioned why SGA would choose to write a letter that does not represent the entire student body. Issa responded by saying that she believes that economic divestment from Israel is the only way to ensure that no students on campus are marginalized. 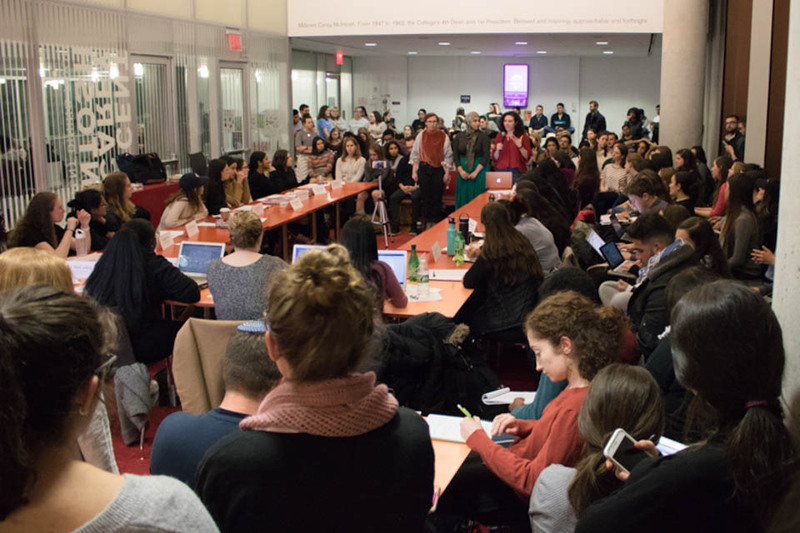 Following the meeting, SGA voted during its internal debrief to initiate a student body-wide referendum on whether or not it should recommend CUAD’s divestment campaign to the Barnard administration. The vote to introduce the referendum was passed with a simple majority.